How Much Does American Crossroads Hate Claire McCaskill? Watch your back, Claire. They're already out to get you. 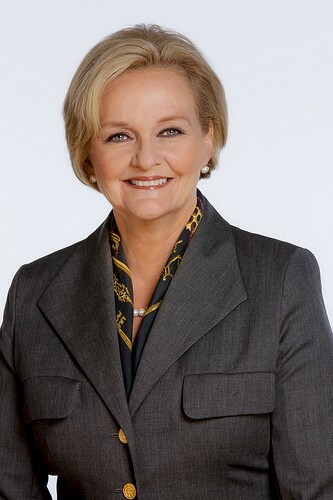 You may have heard that Claire McCaskill, Missouri's senior senator, is running for re-election in 2012. She doesn't know who her Republican opponent is yet. (Congressman Todd Akin and former state treasurer and gubernatorial candidate Sarah Steelman are both vying for the job. So is businessman John Brunner, though he's also considering running in Tennessee.) She hasn't even won the primary. Election day is still seventeen months away. Nonetheless, today American Crossroads, a conservative 527 advocacy organization based in Washington, DC, launched a campaign against McCaskill with a $50,000 statewide radio spot and a website, Truth About Claire. Isn't all this a little...premature? Not if McCaskill's candidacy is a sure thing, Jonathan Collegio, American Crossroads' communications director, tells Daily RFT. "Claire McCaskill is so far to the left of her constituents, she's a top target regardless of who wins the primary," he says. (Never mind that Missouri's two biggest population centers, St. Louis and Kansas City, always go blue.) "With a targeted election, it's important to begin framing the campaign and issues early." Not only that, Collegio says, "Claire McCaskill is one of the most vulnerable Democrats up for re-election net year. She has a very liberal voting record that we want to make known in the 2012 campaign. While she talks a lot of fiscal conservative talk, her voting record is far more liberal than most Missouri voters realize. If you're a fiscal conservative, you don't vote for bailouts and stimulus packages and massive government healthcare takeovers." Truth About Claire also highlights -- and ridicules -- some other proposals McCaskill voted for, like a grant of $451,614 to the University of Missouri-St. Louis to study Brazilian wood-boring beetles. American Crossroads is a relatively new political committee: It first appeared during the 2010 election cycle when, along with its sister organization, a non-profit called Crossroads GPS, it raised $71 million. Most of that money went toward negative campaign ads targeting, among others, Missouri senatorial candidate Robin Carnahan, Colorado Senator Michael Bennet and Washington Senator Patty Murray. "Campaign laws make it difficult for non-party organizations to support candidates," Collegio explains, almost apologetically. "We most often have to run contrast or negative ads." 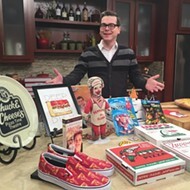 Naturally, American Crossroads is also on Facebook, Twitter and YouTube, and it's hired a local consultant, Paul Mouton of Joplin. All of which means: 2012 starts now, and it's going to be a very long year. "All of the attacks against Claire are going to be about distorting her record. As an independent who has cut spending by going after the big contractors, she's stepped on some pretty big toes, and there are quiet a few giants who want to take her out as a result. But Claire has always been comfortable as the underdog, fighting for what's right."